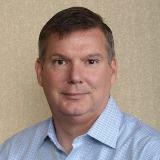 Doug has spent the majority of his career in healthcare and retail, where he has led IT teams in Asia, the UK as well as here in the United States. He specializes in building business-focused IT teams which improve both teammate engagement and business delivery while re-engineering legacy processes and IT systems. Most recently, he has led teams which created the first mobile applications for Apria Healthcare and DaVita Rx. Prior to this, Doug and his team developed the retailing world’s first 100% self-checkout store for Tesco’s market entry to the United States. Doug is a native of Michigan, where he earned his undergraduate degree from Central Michigan University. He earned his MBA from the Booth School of Business at the University of Chicago. Doug and his family now reside in Southlake, Texas.